Okay. Go ahead and jump back to your folder where we have our steps for the assets module. We're going to open up step 12 which is managed-file-display. Go ahead and copy the entire code and paste it over the code that's currently in your assets dot module file and save it. In this step, we're going to be recreating the thumbnail page from our previous example but this time using managed files. So the first step is to add an entry to the menu registry. So I'm going to scroll up to the top and take a look at our assets_menu() function. We've added this item here at assets slash managed slash view. We've given it a title and a description and the page callback is assets_display_managed_files_page. So we're going to go ahead and scroll down and take a look at this function which is responsible for displaying our page. It's down near the bottom and scroll up just a little bit and here we go. We begin with an empty string for the output and we're setting the directory to public://assets/managed. Now, if you're following along and you didn't clean up the unmanaged files, that's okay. We'll have a separate folder for this. The other one was unmanaged. This one will be called managed. We've created a utility function to create the list of files because we're going to use this again in our next steps. So we've taken out the logic and put it down here in this function called assets_load_managed_files(). So what we're doing to begin with is we're creating a new object called EntityfieldQuery. 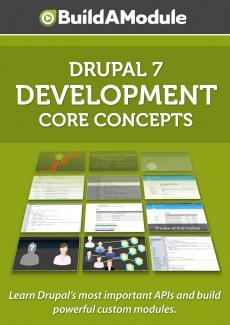 Now, in Drupal 7, there are many objects that share the entity status including files and users and nodes. So this all sort of stem in functionality from the top down and if we look at some of the base functionality for all of the entities one of the things that we can do is query the entity database for particular parameters and we can do that using the EntityfieldQuery class which belongs to all entities. If you've watched any of the database API videos, then the structure should look pretty familiar to you. So we're setting the result variable to the return value from this query which is the class that we just created, the instance of the class, EntityfieldQuery. We're adding an entity condition which is saying that we want to check for this value in this particular column and we're looking for the entity type and we want to make sure that that equals file.